The role of Crysophylos is an important position in your chapter/colony. In order to be an effective Crysophylos, it will take hard work, time management, planning and accountability. This Resource Guide is an excellent reference tool for every Crysophylos to use. It's more than just simply counting money. The Crysophylos has to carefully plan for money coming in and going out. In this Guide you will find the basic components of how to be a great Crysophylos for your chapter/colony. This includes the Fraternity's fee structure, important dates, where your money goes, how to budget, how to collect money & pay bills, your support system and special projects funds. 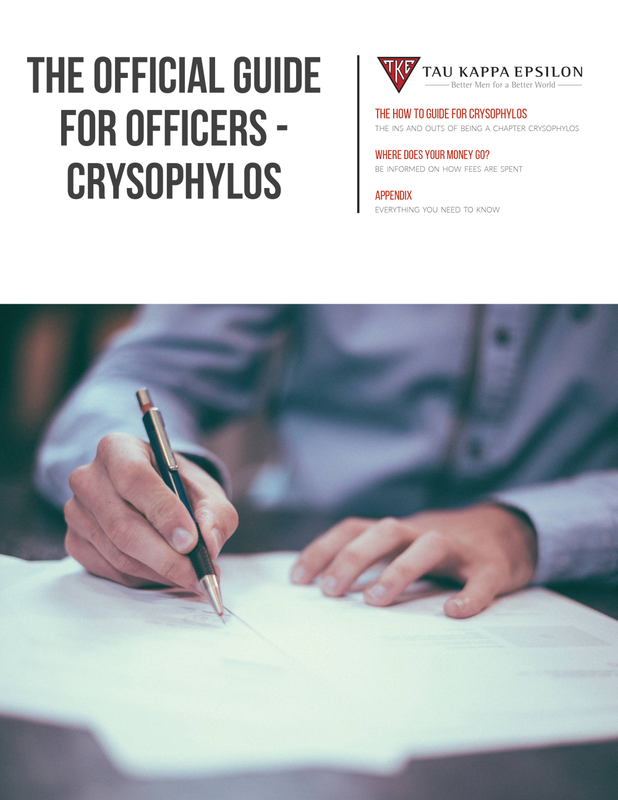 Click the image below to download "The Official Guide For Officers - Crysophylos"